Located directly across from the ocean with a fabulous roof top deck “My Lighthouse” can sleep a total of 11 guests with 2 queen beds, 1 double bed, a twin/double bunk bed and queen sleeper sofa. Walk into the living room and you can see why this home is fittingly called "My Lighthouse". The living room opens up into a larger room with a dining set and dinette set with a pass through to the kitchen. The kitchen is equipped with everything you would need for a hearty meal at the beach. Continuing in the rear of the kitchen is a half bath and access to the private back porch. All four bedrooms are located off the main living area. Bedroom 1 has a queen size bed and sliding glass doors with access to the front porch. Bedroom 2 also has a queen sized bed, bedroom 3 is outfitted with a double bed and bedroom 4 has a set of twin bunk beds. 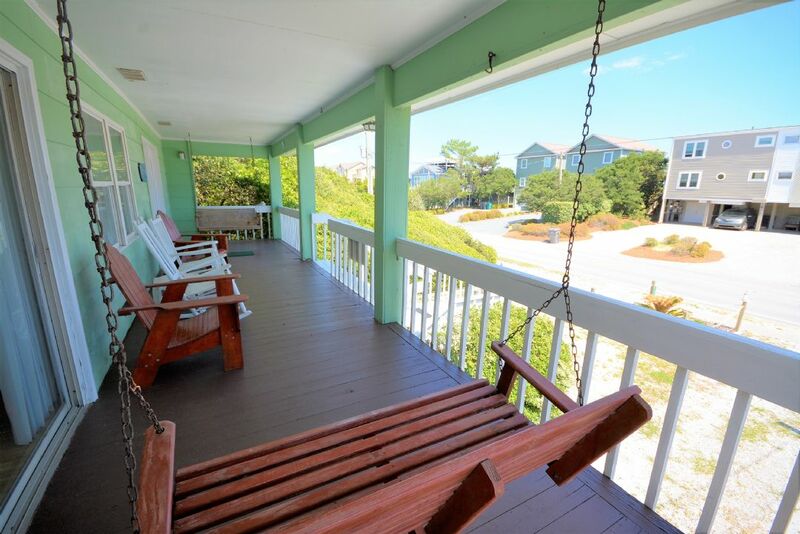 The front porch has several rocking chairs, a swing and of course, the serene sound of waves crashing on the sand. 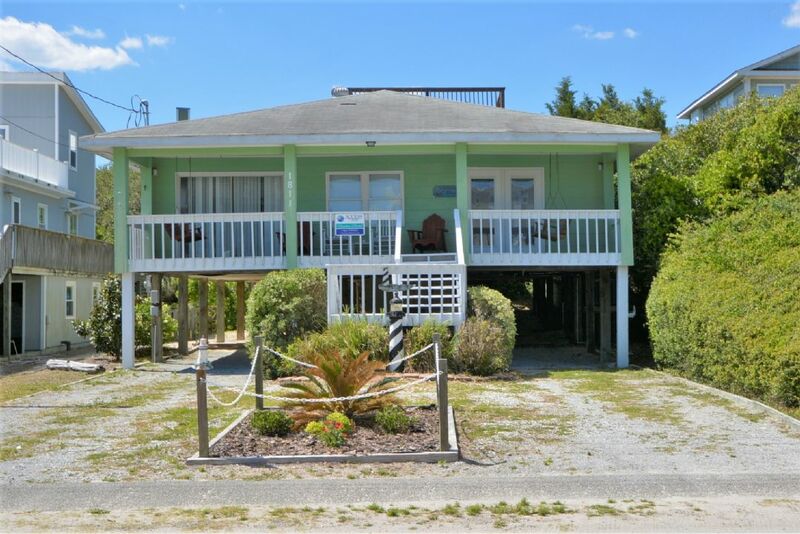 The beach access is located to the left of the home just 2 homes down South Shore Drive. Don’t forget the stunning roof top deck!! 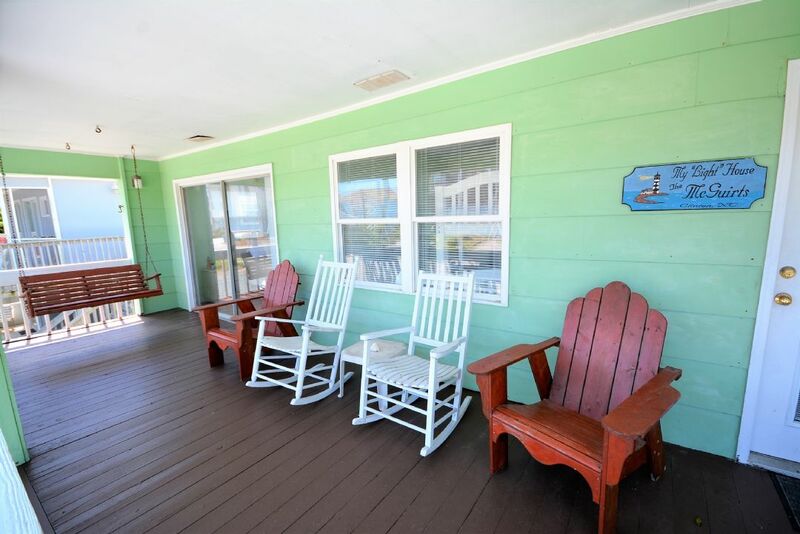 If you are looking for an affordable place to stay onTopsail, "My Lighthouse" is sure to satisfy.